Fruits are the best snacks you can have. They are filled with vitamins, fiber, and other nutrients that are perfect for a healthy diet. Fruits are in general low in calories and filled with fibers, which can even help you lose weight. Keep in mind that just eating fruits will not make you lose a bunch of weight. The best way is to incorporate these fruits into a healthy, whole food based diet, along with daily physical activities. 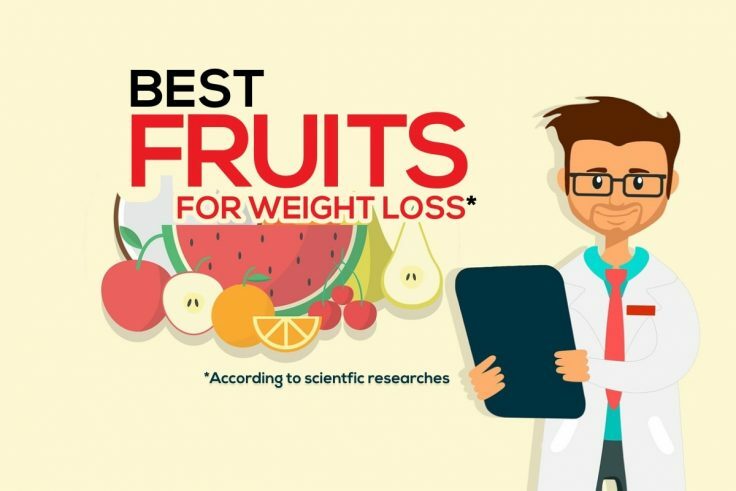 These fruits for weight loss are low in calories and high in fibers and nutrients, which will make you feel fuller and less hungry throughout the day. This fruit is really low in calorie and high in fiber. A large apple, about 225 gram, contains 5.4 grams of fiber and 115 calories. Vitamin C: 14% of the Reference Daily Intake. Eating this fruit will get your body a great dose of fiber and Vitamin C. If you are eating apples, leave the skin on because it contains half of the fiber and the polyphenols, which have many health benefits. Apples are great when it comes to weight loss because they make you feel fuller because of their high content of water and fiber. So eat a few slices of apple before your regular meal, and it will make you eat 200 calories less because you are already filled with apples. In one study, groups of women were eating 3 apples, 3 pears, and 3 oat cookie, with the same amount of calories for 10 days. The women who consumed apples lost 2 pounds. 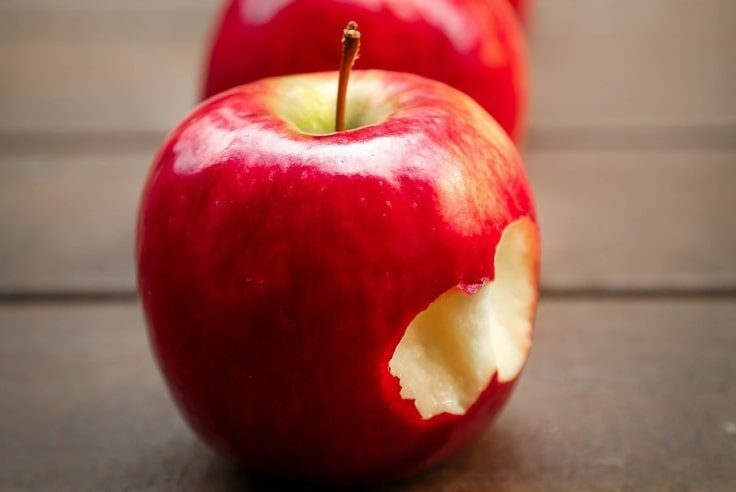 This happened because when you eat apples you will consume less of the other foods during the day. You can consume apples in a variety of ways, you can eat them raw or even cook them. You can even add them to your yogurt, cereal, or salads. This fruit is a cross between an orange and a pomelo and it’s highly associated with weight loss and dieting. There is also a 3-day grapefruit diet for rapid weight loss. A half grapefruit contains only 39 calories and it also contains 65 % of the daily intake of your vitamin C.
Vitamin A: 28% of the RDI. Vitamin C: 64% of the RDI. Magnesium: 3% of the RDI. In one study, 85 obese people who were eating grapefruits or drinking grapefruit juice before meals for 12 weeks showed great results. They showed a decrease in calorie intake, a 7.1% decrease in body weight, and improved cholesterol levels. 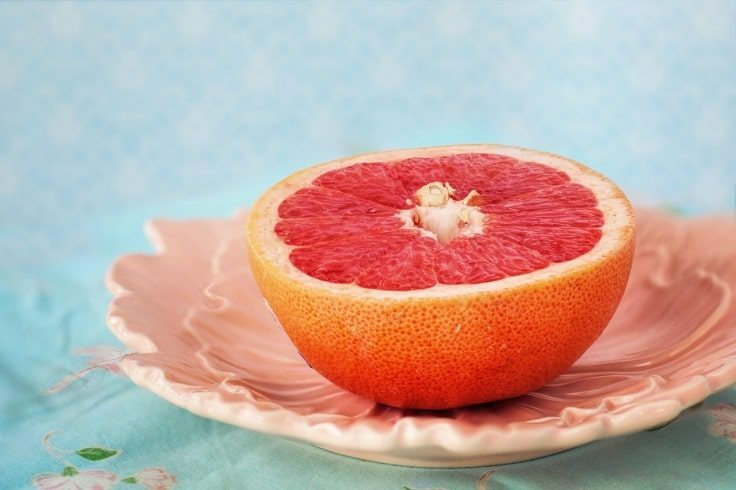 Furthermore, grapefruit consumption can reduce body fat, waist circumference, and bloodstream pressure. Eating grapefruit can be great for your immune system because it contains several minerals and vitamins that have a great role in preventing infections. You can just eat grapefruit as a snack, or you can add it to salads and other dishes. These fruits are very low in calories and full of nutrients. Eating them can have positive effects on your blood pressure, cholesterol levels, and inflammation. 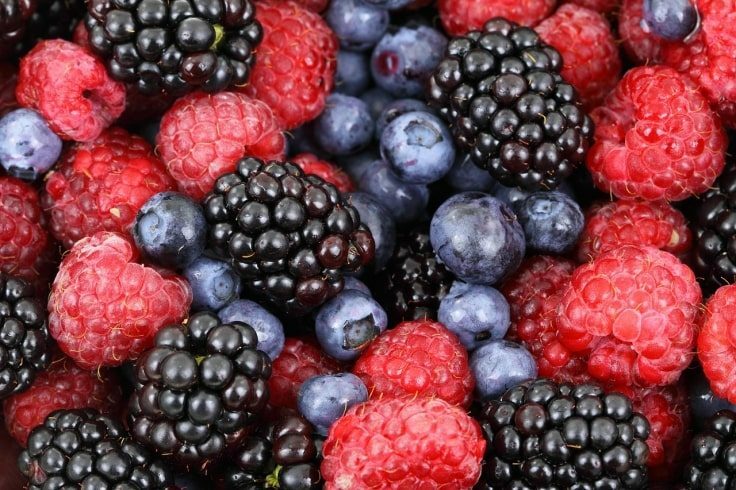 Berries are a really good source of fiber, including soluble fiber. Consuming soluble fiber will slow down the movement of your food through the digestive tract, which leads to reduced hunger and an increased sense of fullness. Fibers can help you reduce the numbers of calories your body absorbs from mixed meals. One study showed that doubling your fiber intake can help your body absorbs 130 fewer calories per day. Blueberries: 21 grams of carbs, 4 of which are fiber. Blackberries and raspberries: 15 grams of carbs, 8 of which are fiber. Strawberries: 12 grams of carbs, 3 of which are fiber. You can eat berries both frozen or fresh, added to your yogurt or cereals, blended in a healthy smoothie or mixed in some baked goods. These are seasonal fruits with a fleshy exterior, and stone, or pit on the inside. They include nectarines, peaches, plums, apricots, and cherries. 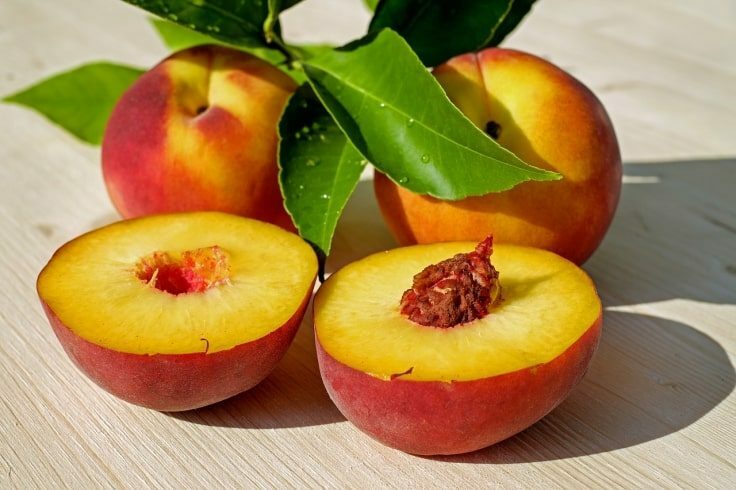 These stone fruits are low in calories and rich in nutrients such as vitamin C and A. They are great for people who want to lose weight. For example, a medium peach contains 58 calories, a cup of cherries has 87 calories, 2 small plums or 4 apricots have just 60 calories. So try to substitute your unhealthy snacks like chips and cookies with the stone fruits because they are a more filling and nutrient-dense choice. You can eat these fruits fresh, or chopped in a salad, mixed in some porridge, grilled or added to dishes like stews. 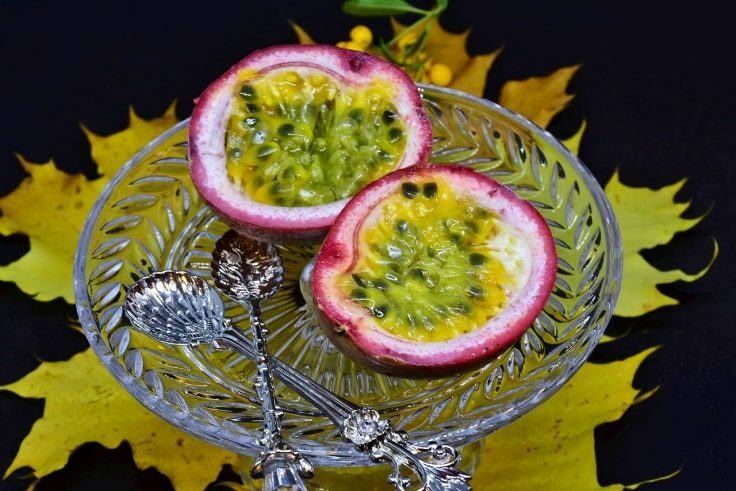 Passion fruit can be ideal for weight loss because it’s low in calories and high in fibers. This helps with insulin sensitivity and blood pressure. One fruit, about 18 grams, contains only 17 calories and is a rich source of vitamin C and A, fiber, potassium, and iron. The fiber slows down your digestion, so it helps you feel fuller for longer and controls your appetite. For weight loss, passion fruit is best consumed as a whole fruit. You can eat it alone, use it as a filling or topping for desserts, or you can add it to drinks. Kiwis are an excellent source of nutrients such as vitamin C, vitamin E, folate, and have significant health benefits. They can aid digestion, boost the immune system, and can help manage blood pressure. In a study, 40 people with prediabetes ate 2 kiwis per day for 12 weeks. They experienced higher vitamin C levels, a 1.2-inch reduction in waist circumference, and a reduction in blood pressure. Kiwis can even help you improve cholesterol, support gut health, control blood sugar, all additional benefits to weight loss. You can eat you kiwi raw, peeled or unpeeled, added to yogurt, salads or you can make juice out of it. If you never ate an unpeeled kiwi, check out these benefits that can change your mind and maybe make you eat kiwis with the skin on. Folate is especially important for cell growth and helps prevent neural tube defect during pregnancy. Vitamin E is a fat-soluble vitamin with strong antioxidants benefits, keeping your cells healthy. When you eat the skin of the kiwi you increase the fiber content by 50%, boost folate by 30%, and vitamin E concentration by 34%, compared to eating it peeled. These fruits are known as weight loss friendly foods because they are high in water content and low in calories. So by eating melons, you will stay hydrated and even lose a few pounds. 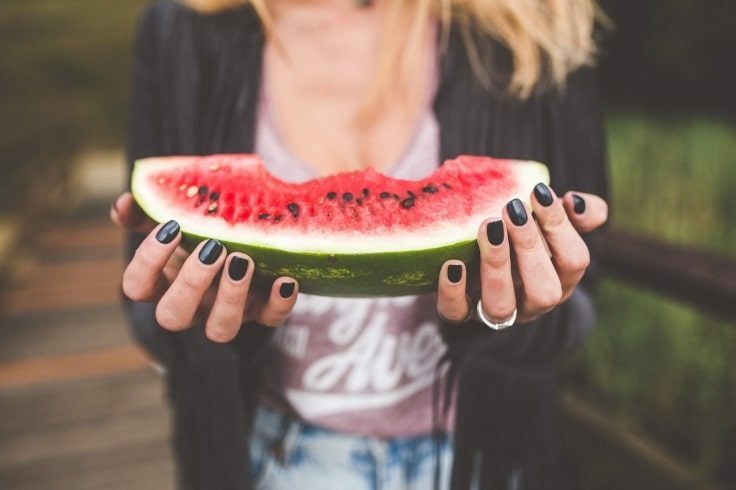 There is also a watermelon diet to help you lose weight fast. Vitamin C: 21% of the Reference Daily Intake. Vitamins B1, B5, and B6: 3% of the RDI. You can enjoy your melon fresh, cubed, added to fruits salads. You can even blend into smoothies or make frozen fruit popsicles. Like all the citrus fruits, oranges are also low in calories, high in vitamin C and fibers, and they are also very filling. In fact, oranges are twice as filling as a muesli bar, and four times more filling than a croissant. While many people consume orange juice, studies showed that eating whole fruits results in feeling less hungry and also increases the feeling of fullness. 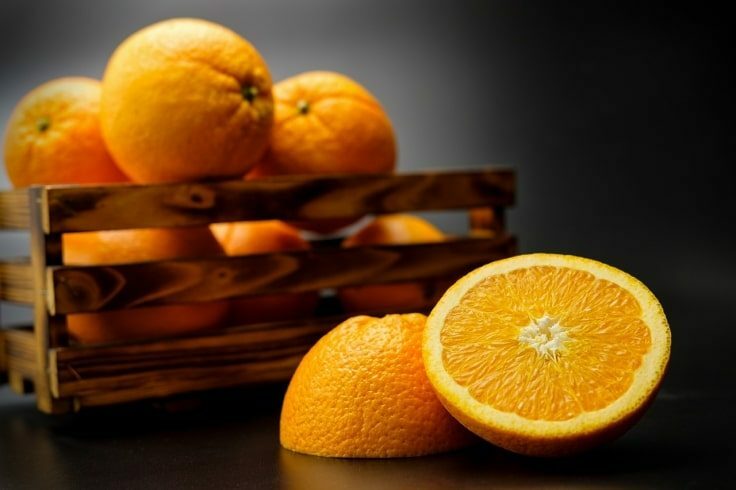 So if you are trying to lose weight, it is better to eat oranges rather than drink orange juice. You can eat your oranges alone or add them to your desserts and salads. Usually, people who are trying to lose weight avoid consuming bananas because of their high content of sugar and calories. Potassium: 9% of the Reference Daily Intake. While bananas are more calorie dense than other fruits, they are also more nutrient dense. They’re a rich source of potassium, magnesium, fibers, manganese, numerous antioxidants, and vitamins A, B6, and C.
Foods like bananas, that are high-quality and nutrient dense, are vital to a healthy weight loss plan. One study even illustrates that eating a banana a day reduces both cholesterol and blood sugar level in people with high cholesterol. 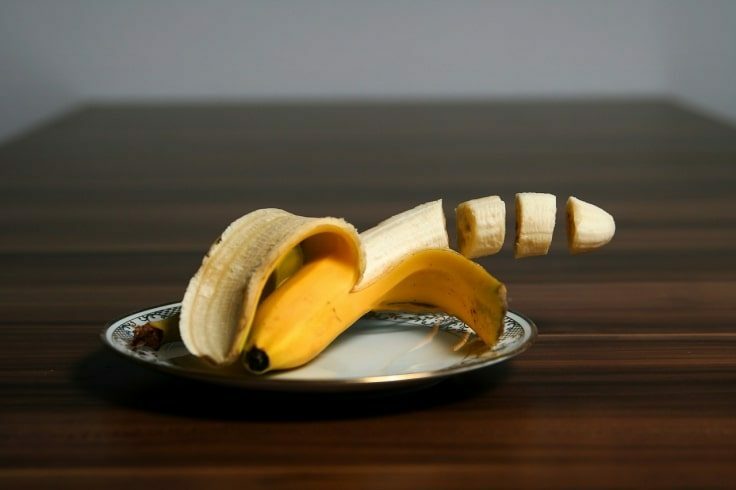 You can enjoy your banana on its own as a convenient on-the-go snack, or added either raw or cooked to a variety of dishes. This is a calorie dense and fatty fruit that may promote weight loss. That is because eating avocados can increase your feeling of fullness, decrease cholesterol, and reduce appetite. Vitamin K: 26% of the Reference Daily Intake. Folate: 20% of the RDI. Potassium: 14% of the RDI. Vitamin B6: 13% of the RDI. Vitamin E: 10% of the RDI. 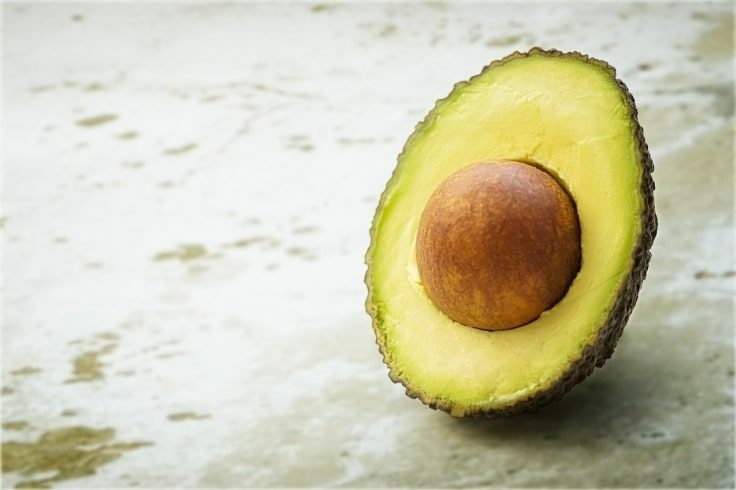 A study showed that people who eat avocados tend to have a healthier diet, lower body weight, and a lower risk of metabolic syndrome than people who don’t eat this slimming fruit. You can use avocados to replace butter or margarine on toast and bread. You can even add avocados to smoothies, dips or salads. Makes sure you are consuming these slimming fruits to see results when you are stepping up on the scale. These fruits for weight loss should be your go-to snack. So ditch the chips and chocolate cookies that have no benefits at all, and add these slimming fruits to your diet.